Dionne Ross is a strong lover of family, fitness, home decor, sign language, jewelry… and her newest addition, baby boy Levi. 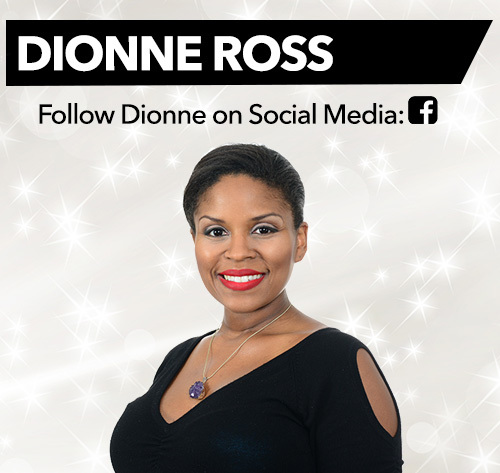 Born and raised in Austin, TX Dionne attended and graduated from the University of Texas at Austin with a degree in Communication Studies. She went on to complete her Master’s Degree from the University of Houston in Speech Communication. During the spring of her final semester in graduate school, she interviewed for a host position with a brand new company called The Jewelry Channel and was hired on the spot. Since then, Dionne has grown with the company and has been given opportunities to travel to amazing locations like the United Kingdom, India, and Tanzania. Over the years, Dionne has grown with the company not only in her love of jewelry, but now lifestyle items. Dionne went on to earn her AJP, Accredited Jewelry Professional Diploma, from the Gemological Association of America. The company, now Shop LC, has been incredibly supportive of Dionne’s goals and ambitions. When not at Shop LC, Dionne is a longtime fitness instructor and certified personal trainer. She teaches at least 3 classes per week ranging from Kickboxing, to bootcamp and PiYo (a pilates/yoga fusion). Dionne has even been able to maintain her teaching schedule throughout her entire pregnancy. She also contributes to various local and national publications specializing in fitness related topics. Another major passion for Dionne is her love of home decor. Although she’s never done any professional decorating, it is an absolute obsession. Her latest venture was designing her baby boy’s “Adventure” themed nursery.